Since we are in the 21st century, H.E.A.L. has decided to offer telehealth services. We know it is not always easy to get off from work or family responsibilities to visit the doctor so we are now offering our services via videoconference. What is telehealth? In short, an appointment with Dr. Marsha using a video service so that you can have your doctor’s visit without having to visit our office! In 2011, The Telehealth Advancement Act of 2011 (AB 415) broadened the range of allowed telehealth services. Under the law, it is now possible to provide expanded health care services via videoconference. We have partnered with a company that provides a secure portal that protects your privacy and is HIPAA compliant. While we realize that a face-to-face in-person visit might be ideal, it’s not always possible. 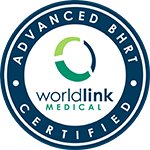 In order to expand access and offer this service to the men and women who need it, we are offering bio identical hormone replacement therapy (BHRT) utilizing telehealth. You will be able to attend an appointment from the privacy of your home or office without worrying about babysitters, bosses, or parking. I believe I can essentially provide the same BHRT services via videoconference that I now provide in person. We hope that this will allow us to offer our services to a wider range of people and to those of you who find it challenging to make it to San Francisco. Here’s to a prosperous, healthy and happy 2016. Telehealth services are available for Dr. Marsha’s patients who reside in California and Texas. Schedule your video appointment just as you would schedule any other appointment but designate that you want to do it via videoconference. Please call the office (415-440-2200) 5 minutes before your appointment to check-in and provide payment information. At the time of your appointment, open your web browser (Firefox & Chrome are recommended) & type the following URL in: doxy.me/nunley . You will be placed in “the waiting room” and Dr. Marsha will receive a notification that you are available for your appointment. Dr. Marsha will click on your appointment in the waiting room and video conferencing will start. The video works best on a laptop using a webcam. It can be done on a smart phone or tablet (you must download the app “doxy.me” prior to your appointment) but the video quality is poor and not recommended.